Wow, I can’t believe it’s been a year since I began blogging again. 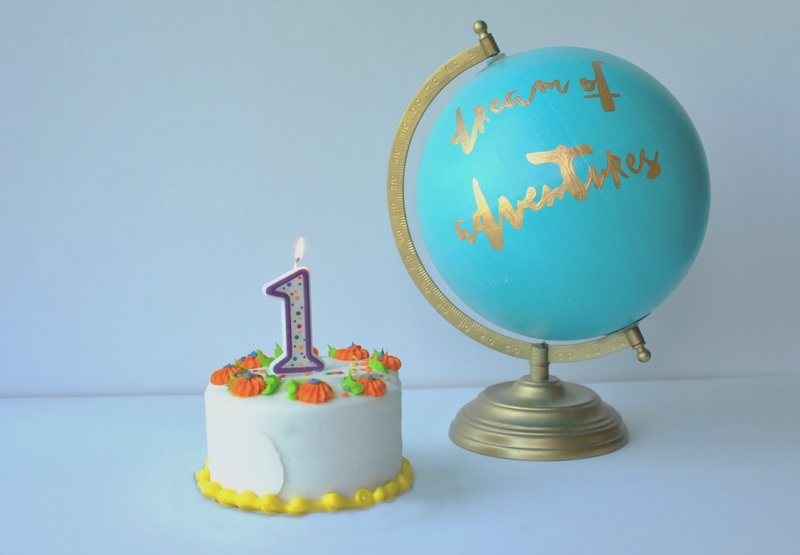 Although Dream of Adventures was started a few years ago during my semester abroad, I made my return back to the blogging world a year ago. I restarted my blog because I had finished university, lived alone, winter was approaching and I wanted to fill my evenings with something new. This year has gone by so fast and looking back at all the posts it amazes me how many adventures I have been on. It took a few posts until I found my niche: travel. But if I thought of another topic to write about I wanted to share it (see: making my own chocolate). 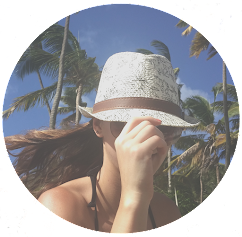 Over the past year I have been introduced to so many unique places, cultures and topics from around the world by reading blogs and connecting with other bloggers. I’ve always enjoyed reading magazines or news articles but now I find myself going to blogs for interesting readings. Working a full time job and working on my blog on the side has proved to be difficult at times but has taught me how to organize my time and take my blog more seriously. In many ways Dream of Adventures is teaching me how to manage a project and challenges me when it comes to the tech aspect of my work. I am in no way a tech savvy person and so the fact that I was able to set up a blog and have it become more than I imagined (with the help of many youtube videos) I am very proud of. I started my blog on blogger and have been hoping to make the jump to wordpress. The one time I did try it I ended up thinking I had lost everything and ended up spending way too much on the process. Now with a new year ahead of me and my blog I hope to put on my big girl pants and make the switch. So look out for future changes and please bare with me as I navigate through the tech side of things. I hope you like my blog and posts as much as I like putting them together. I am always overwhelmed when I see how many of you have left comments and I make sure to read all of them and answer as many as I can. I have noticed my photography improving as well as my writing. Blogging has opened up a new possibilities for me and I love the creative outlet it provides. Congrats on your blog anniversary,the first years are the hardest! Don't give up! Well done on one year, your blog looks really good so I would have guessed you'd been around for longer! Blogging part-time alongside a job is hard but it makes achievements like this all the better. Congratulation on your 1 year Anniversary! It’s hard finding a balance between a full-time job and blogging, it sounds like you’ve found a great balance. I had the same experience with switching over to WordPress from blogger, the first time was a disaster but I tried again and so far so good. There are so many youtube video, online tutorials and free help chats that are great references. You go this! Looking forward to seeing you on WordPress soon. Thank you for your encouraging comment =o) I will definitely be giving it another go very soon! Happy 1 year! Congratulations to all your hard work! I also work a full time job and do a blog on the side, it's a hard balance but it makes life fun I guess! I can't wait to see what's to come! Congratulations! I totally understand the struggle to blog and hold down a full-time job. But your going it and that's all that matters. I always find your post interesting and different, so I look forward to all the new content. Congratulations, darling! I hope you go from strength to strength. Aw, congrats babe. Many more to come!! Thank you! It's been a fun year of blogging =o) Glad to hear that you switched from blogspot to wordpress, hoping to make the switch soon! Congratulations on reaching a year! It's definitely really difficult to find a good balance between creating good content for your blog and keeping up with a full time job! Congratulations on 1 year blogging! It sounds you had an amazing time! The technical side of blogging can be daunting - best of luck for your future switch to wordpress. Congrats to you!! Glad you narrowed down your niche!! Keep on blogging! It's such a shame for me because I've run my blog for over years but it's not that productive. I expected something big but I am too bad and lazy being a blogger, huh. But, congratulation darling! Thank you for the comment! It definitely takes time and motivation to keep working on your blog and especially having a planner. Planning out my posts has made it easier to blog and to keep up with my posts without my stressing over it =o) Just remember to have fun with it!